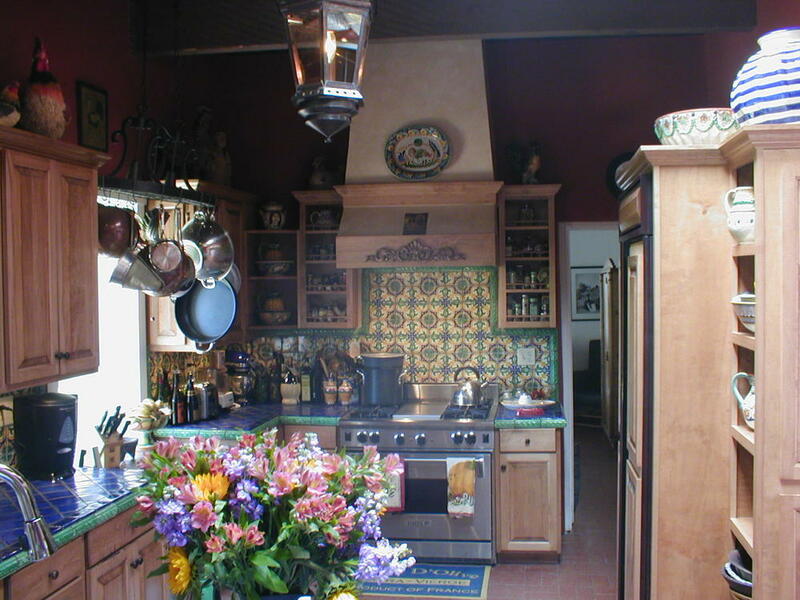 In 2003 Susan Westbrook purchased and began the remodel and renovation of her Albuquerque home, Casa de los Milagros. As the name suggests, the story of her adobe home is no ordinary one. 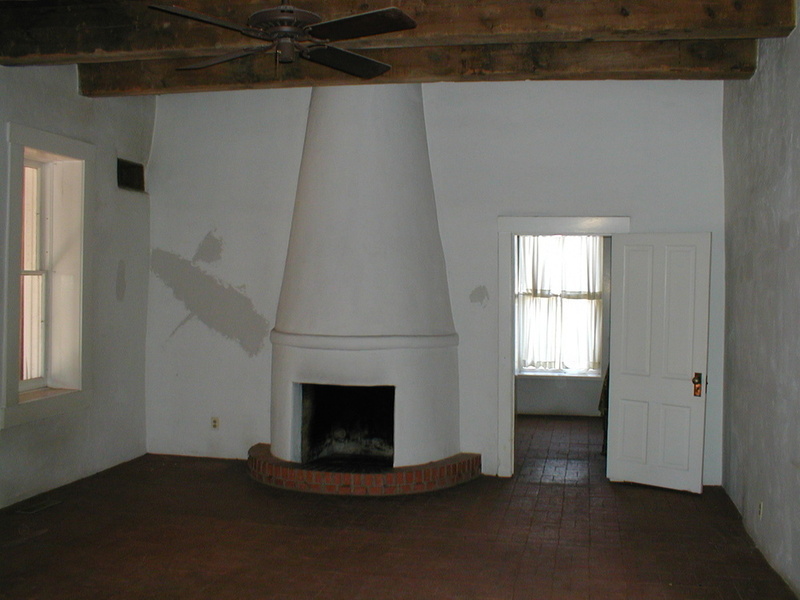 The oldest rooms of the house date back over 200 years to when they served as a farm house for the Dietz Farm in Albuquerque, New Mexico. Since then, the house has undergone a number of renovations including those by Susan Westbrook before she made it her own home. 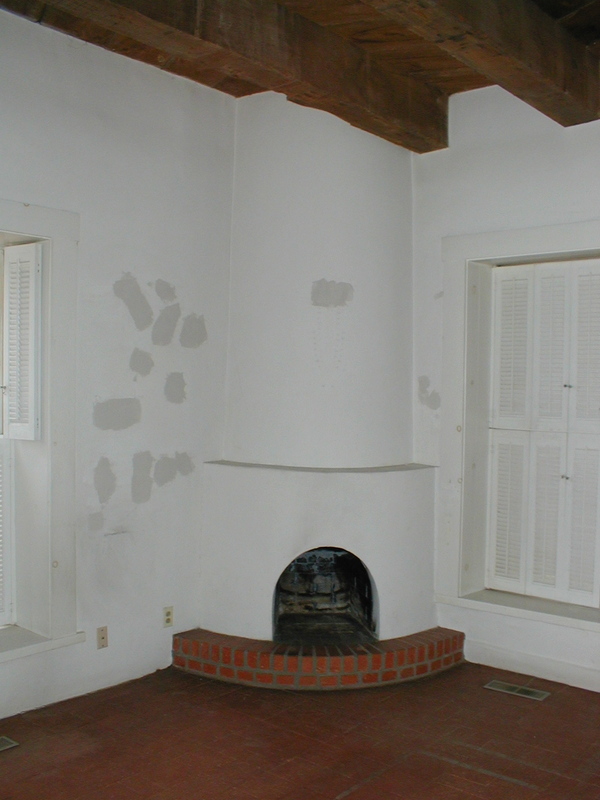 In 2004, the remodel process (and near destruction) was featured on HGTV's tv series "Generation Renovation." Click here for information about the episode. The finished project has been featured in Su Casa Magazine as well as in photographer Kirk Gittings' book Shelter From the Storm. 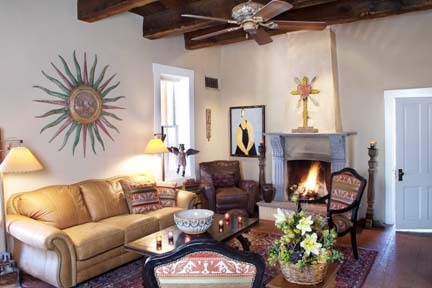 Most recently, it was photographed for Phoenix Home and Garden's "Best of the Southwest" issue in September 2006. 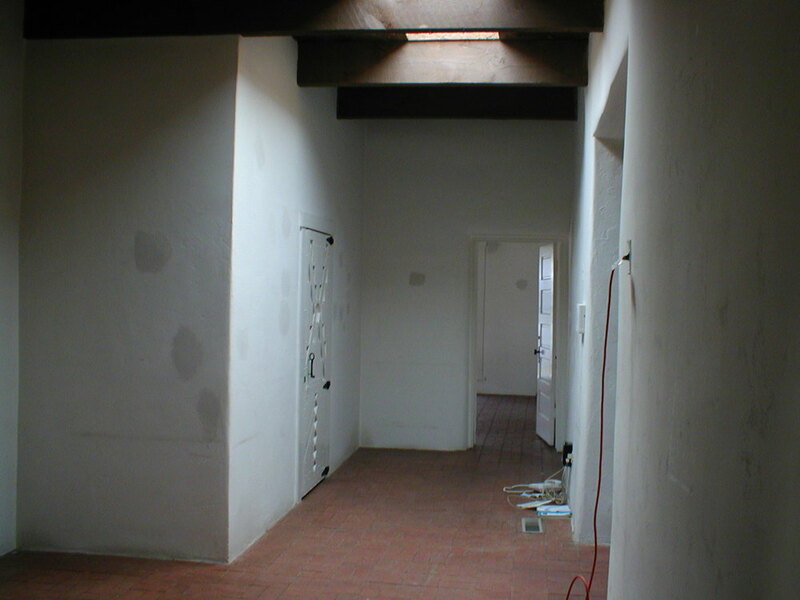 Below is an image (left) from 1950 showing the great room of Casa Milagro. 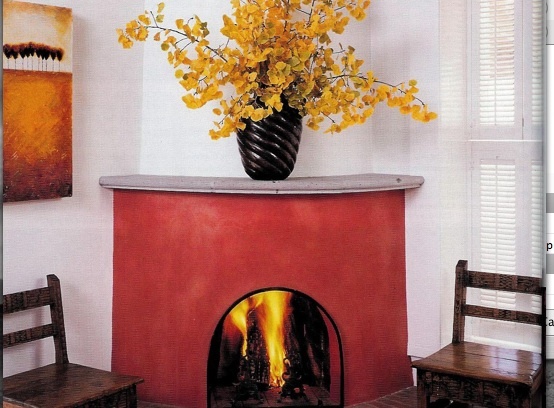 On the right is a detail shot of the existing fireplace designed by Susan Westbrook.